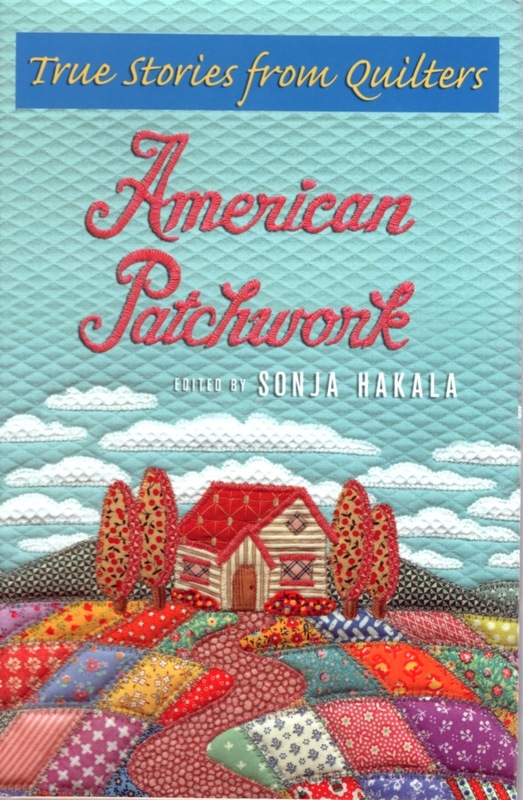 I collected and edited stories about quilting by quilters in the U.S. and Canada in a book for St. Martin’s Press called American Patchwork: True Stories from Quilters. Here’s one of my favorites among the tales. It’s by Renie Morse of Two Harbors, Minnesota. One July day, I was working in the Samuel Hill home, where I was demonstrating the technique of making yo-yo quilts. Yo-yos are considered a novelty type of quilting and their popularity comes and goes. Yo-yos are small circles of fabric hemmed on the edging and with a drawstring, pulled tight into small, compact circles. They are sewed to one another with a slip stitch and many of them together make a quilt that looks light and airy because there is no backing or batting. But when you hold a yo-yo quilt, it’s actually quite heavy. I had made a few dozen yo-yos by early afternoon when a couple in their sixties came to “my” house. When they saw what I was working on, the man sat straight down on the wooden floor and began to cry. Not knowing whether he had fallen or not, I raced around the table to assist. Lots of other people rushed up, and I was just telling a nearby teenager where to go for help when the man assured us that he was quite all right. In fact, he felt wonderful. Well, by that time, he had our undivided attention. He went on to explain that he was one of ten children and that when he was growing up, his mother would bathe the children and then sit them down with needle and thread to make yo-yos. With that, he picked up a needle and thread from my work table and proceeded to prove that he did, indeed, know how to make them. No one left the house as he started to tell Momma-stories about his childhood in rural Alabama. Momma had them each make ten yo-yos each night and then she would make them into quilts that she sold to buy extras for her children, like shoes. She read to them while they sewed. Some of the stories were Bible stories and some were from magazines given to her by her employer. The man told us he preferred short stories because he liked to know how they ended before he went to bed. He had forgotten all about the yo-yos he’d made as a child until he walked in and saw me sewing. The man and his wife were returning to their home in Detroit when they stopped at New Salem. They had just been to Alabama, where they had buried Momma. While his wife went on to see the other buildings, the man stayed with me and made yo-yos for the next four hours. He told me that none of Momma’s children had any of her quilts because she had sold them all. I learned that his mother raised all those children by herself, that she made apple butter and the best corn bread he’d ever had. He said her pork roast was never big enough to feed ten hungry children but he had shoes most of the time as a child. He still loves to listen to books read aloud to this day. Mostly he talked and sewed without even looking at where the needle was going. He thought maybe he should buy some fabric and make a yo-yo quilt of his own. I told him to take the ones he’d made that afternoon but he said I should put them in a quilt to remember him by. I did—and I still have that quilt and I still remember him. Previous PostSpending the Day on Comfort QuiltsNext PostOK, Who Fast-Forwarded the Calendar?